Ever wish you could have your favorite restaurant meals at home without ever leaving your couch? 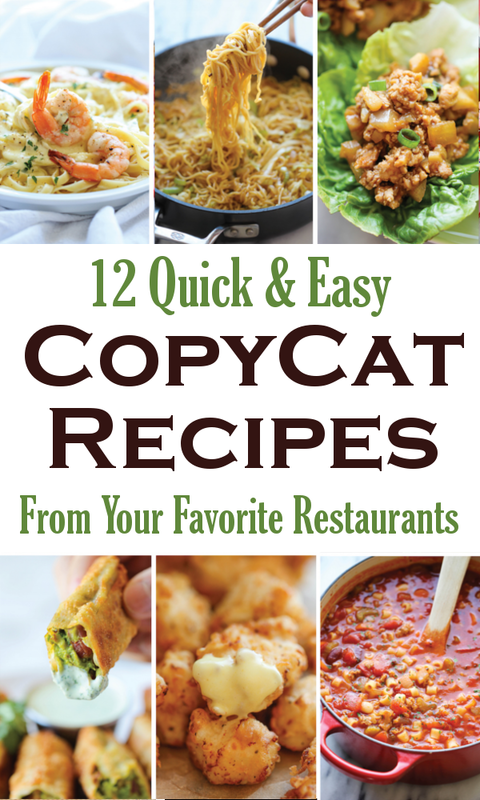 Over at Damn Delicious, Chungah has compiled a list of copycat recipes from your favorite restaurants. She has found everything from Panda Express Chow Mein to Olive Garden's Alfredo Sauce.